The day that gamers across the globe have been waiting for but many parents dread. 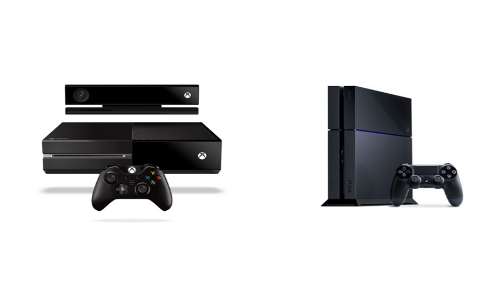 It is the launch of the new gaming systems, Xbox One and PlayStation 4. Microsoft announced the much anticipated Xbox One, will be released on November 22, 2013 in the United States. Gamers that love the Xbox wanted to know if the new Xbox One will support swappable generic hard drives. The answer is no. You will still have to pay the much scrutinized price tag to replace the hard drive in the Xbox One as you did before. Don’t get to excited yet. While Microsoft has announced the release date, they also claim they will only be releasing a limited supply of the Limited Edition Xbox One Day One console. A strategy that will most certainly drive crowds to gaming stores in order to try and get their hands on one. You better break open the piggy bank. The price tag for the Limited Edition Xbox One Day One is a whopping $500.00 and $617.00 for the bundle. A huge price tag many are willing to pay. The PlayStation 4 will be released seven days earlier, on November 15, 2013. The Sony PlayStation 4 is a huge disappointment to many gamers. Gamers main concern with the PS4 was that they be able to game from an external hard drive. A concern that proved to be a legitimate one. Shuhei Yoshida, one of Sony’s divisional presidents, confirmed that gamers will not be able to game from an external hard drive. Shuhei says, you can still swap out the internal hard drive in the PS4 just as you could the PS3. Sony is a huge advocate in preventing piracy, the idea behind not allowing external hard drives for gaming purposes. The price tag for the Sony PS4 Bundle is $519.00, give or take a few pennies. Looks like Santa will have to work overtime this year. Even if the list is short, this order will surely break the bank for most.